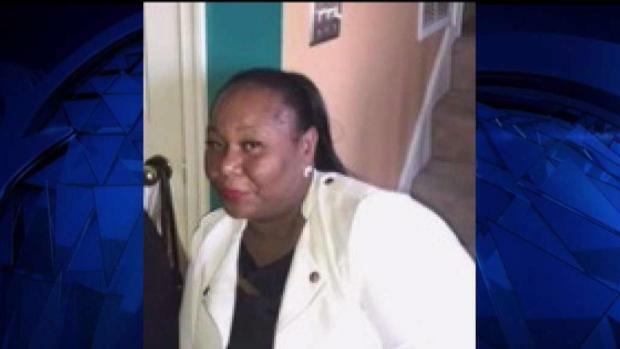 A driver has been charged with second-degree murder more than a year after a woman was killed while riding in a Lyft car. 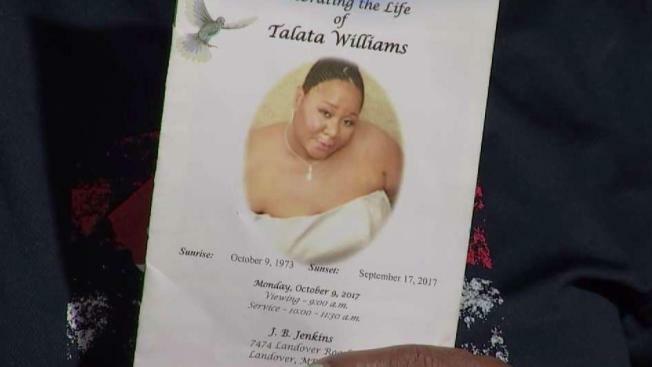 Talata Williams died last September when a pickup truck crossed the yellow line and slammed into the rideshare car she was taking home from work. Police said at the time said the pickup was at fault, but her family was still asking for answers about potential charges against the driver a year later. "I leave a message, nobody called back," Deborah Redd, Williams' mother, told News4 in October. "It's just like she wasn't nothing." A woman killed in a crash over the weekend did nothing more than hail a ride home. But before getting home, someone crossed the median, hit the car she was riding in and killed her. News4's Shomari Stone reports. "She was something to me," she said. Williams, who was 43 when she died, also had three children. Police have arrested and charged 41-year-old Terica Younger in Williams' death. A Honda Accord picked Williams up on the night of the crash and headed east on Good Hope Road, less than a half-mile northwest of the Skyland Town Center development, when the driver of a Dodge pickup truck headed the opposite direction crossed over the double yellow lines, police said. According to newly released charging documents, Younger was speeding down the road in the pickup about 70 to 80 miles per hour and her blood tested positive for the narcotic fentanyl. The Dodge hit the Honda head-on, pushing it several feet. The force of the crash horrifically mangled the hood of the sedan, video footage from the scene shows. The Lyft driver and someone driving a pickup truck were seriously injured but survived. "One part of me is dead because she's not here anymore," Redd said. "It's just a big empty space." Redd said her daughter always treated people nicely and always smiled. Williams could make friends with anyone, Redd said. Williams' sister Tiffany Williams spoke to News4 at a vigil days after the crash. "Why was you on the other side of the street?" she demanded, looking right into the camera. "My sister was on her way home from work. That's all she wanted to do: get home."